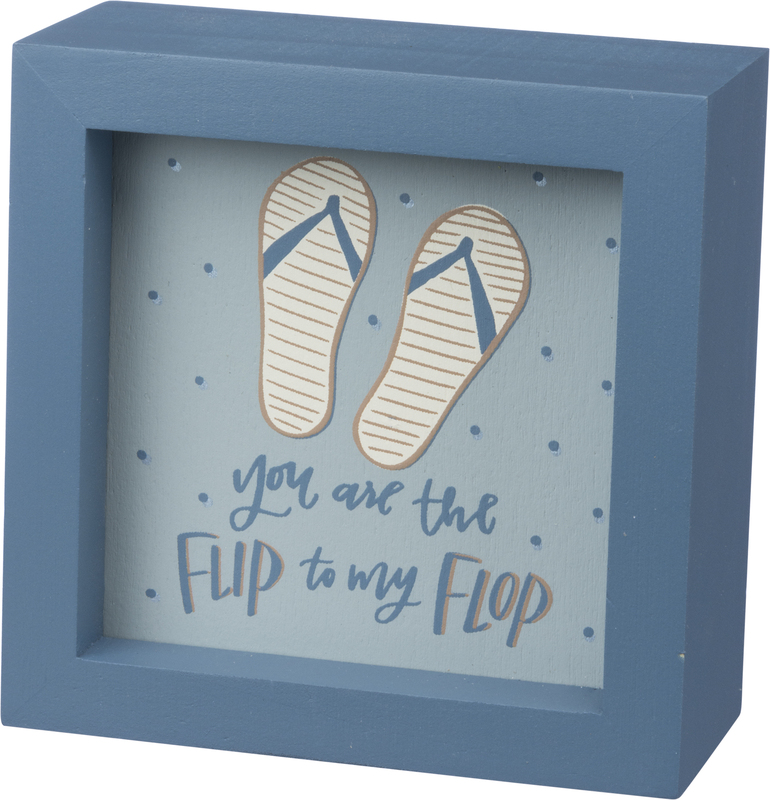 A wooden box sign lending an inset hand lettered "You Are The Flip To My Flop" sentiment with flip flop and polka dot designs. Complements well with coordinating design pieces for a beach-inspired décor collection. Easy to hang or can free-stand alone. Size: 4" x 4" x 1.75"